It’s all-comedy all-the-time on this Sunday’s Tales From SYL Ranch. About three-fourths of the show is my informal “best of” “Weird Al” Yankovic. His career stretches back to the early 1980s. The task became narrowing it down to about an hour-and-a-half. They’re all gems. In fact, I had to cut some I liked for time, so it’s really the best of Al’s best. Update: “Weird Al” dropped a new collection, Medium Rarities, this week. The timing was entirely unintentional. However, I’ve changed the playlist accordingly. “It’s Still Billy Joel” has been downgraded from “rare” to “medium rare.” “Chicken Pot Pie” is still “very rare” and is from my personal collection. The Holy Grail of “Weird Al” fans, “Belvedere Cruising,” has downgraded all the way to “medium rare.” It’s the song that got Al his break on the Doctor Demento show; which in turn propelled him to stardom. 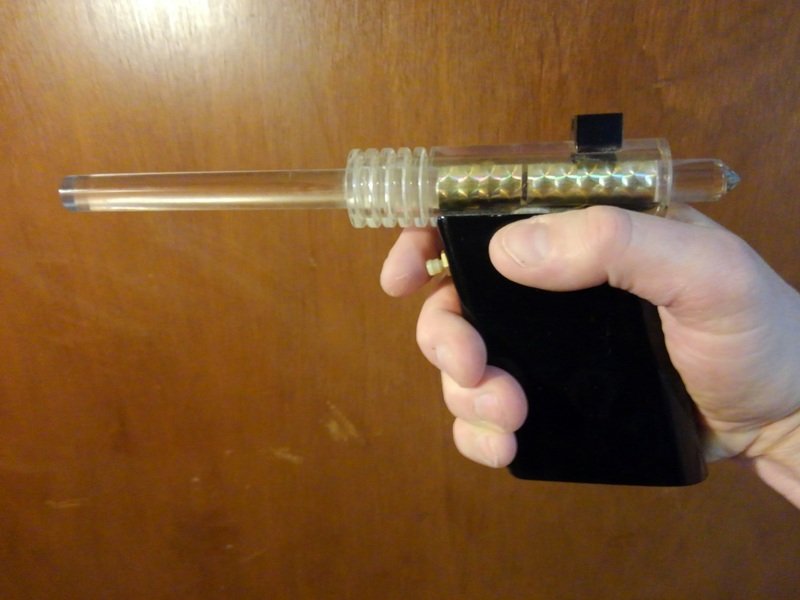 Then I have a new, permanent addition to the podcast. 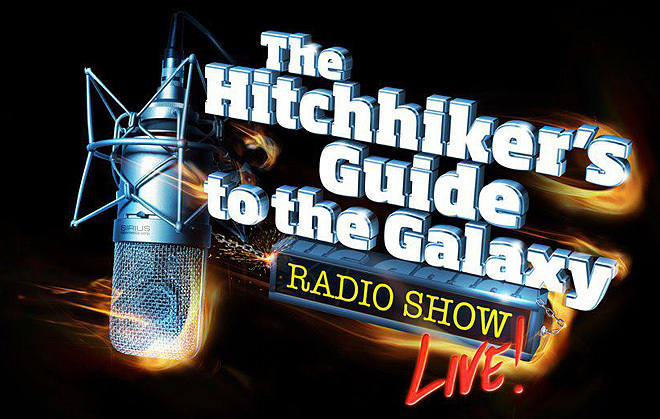 Henceforth, I will be running The Hitchhiker’s Guide To the Galaxy radio program. Younger listeners may not be aware of the Hitchhiker’s Guide strange history. It began as a BBC Radio series, then a couple of books, then more radio, then TV, then more books, then a movie, and then more radio. I’ll be playing all five radio series, starting with series one, episode one on Sunday. I’ll be running them for about four years. And the following two weeks , you’ll hear my voice for the first time — and you will ultimately be grateful for the respite of The Hitchhiker’s Guide To the Galaxy. 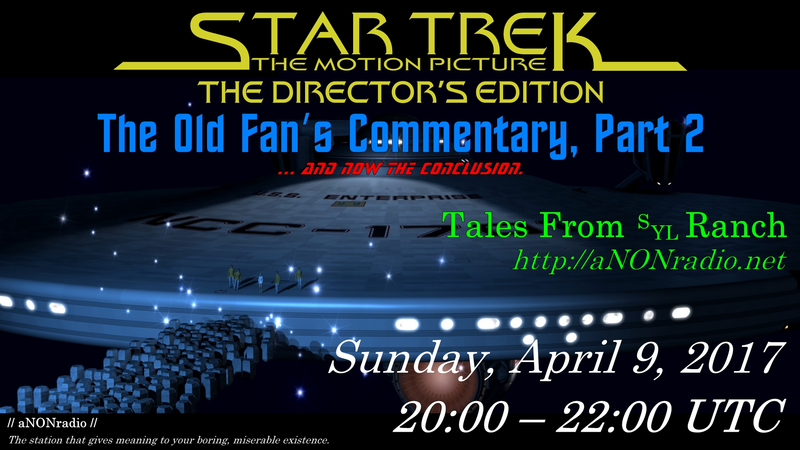 I’m going to do a two-part “Old Fan’s Commentary” of Star Trek – The Motion Picture. I’m doing this not because I have any great backstage knowledge. I’ll talk about what I know, but that’s not the point. This is a fan commentary. I’m going to talk about Star Trek fandom in the 1970s, and how it was for a teen-aged Trekkkie to see the film for the first time. I’ll be commenting on the Director’s Edition, so if you want to follow along, get out your DVDs, stream from your favorite service, or … well, you know. For reference, here’s the full playlist. With the exception of the Hitchhiker’s Guide, they’re all “Weird Al” Yankovic songs.